the day you have all been waiting for is finally here. APPLE PIE! 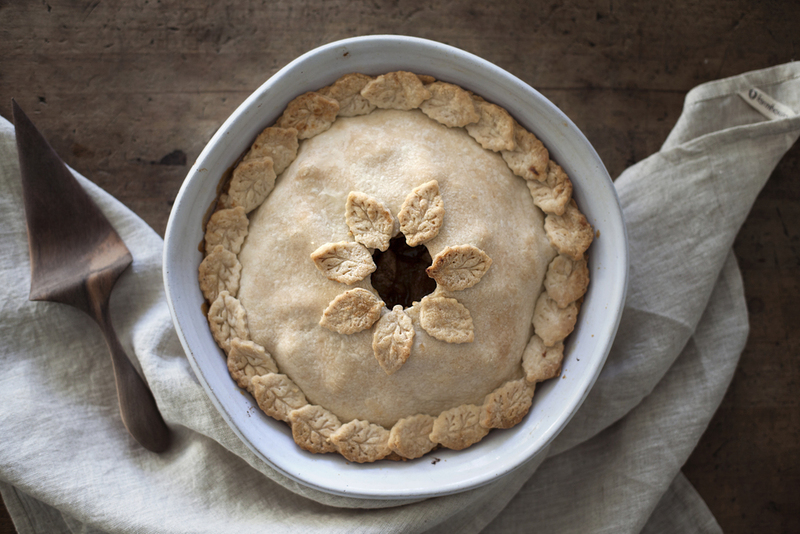 but not just any apple pie, oh no: salted caramel apple pie. i have been waiting until american thanksgiving was approaching to create & share this recipe. i received the salted caramel sauce from one of my readers a little over a month ago & refused to open it until it was time to make this pie. do you know what kind of torture that is? staring at a jar of salted caramel every time you open the pantry! anyone who eats things straight out of the jar with a spoon understands the pain i went through. but now look! i can reward myself with a big slice of apple pie & drizzle all the left over salted caramel i want on it! NOTE: for this particular pie, i used a delicious salted caramel that was sent to me by kristin of the ardent homesteader. you can find her cara-sel here. 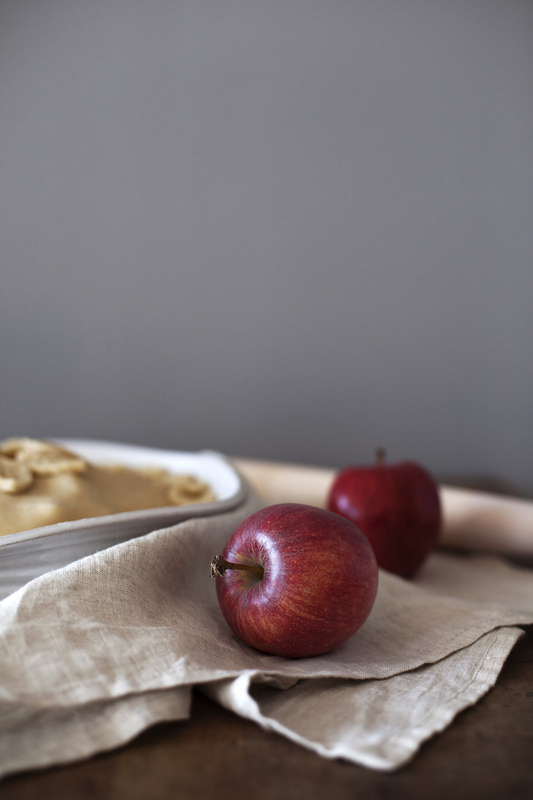 you can also use my recipe for homemade salted caramel which can be found here. for the filling mix apples, sugar, cinnamon, nutmeg, vanilla and cornstarch in a bowl. toss until evenly coated and combined. once you are ready to assemble the pie, pre-heat oven to 400 degrees. roll out half the dough between 3/4cm and 1cm thick. transfer to pie dish, clean up & shape edges. poke dough with a fork a few times to allow steam to release. add 1/3 of apple mixture & drizzle with 1/3 of salted caramel. repeat, finishing off with a layer of salted caramel. roll out remaining dough to the same thickness for the top. add one tablespoon of water (or milk) to egg to create an egg mixture. 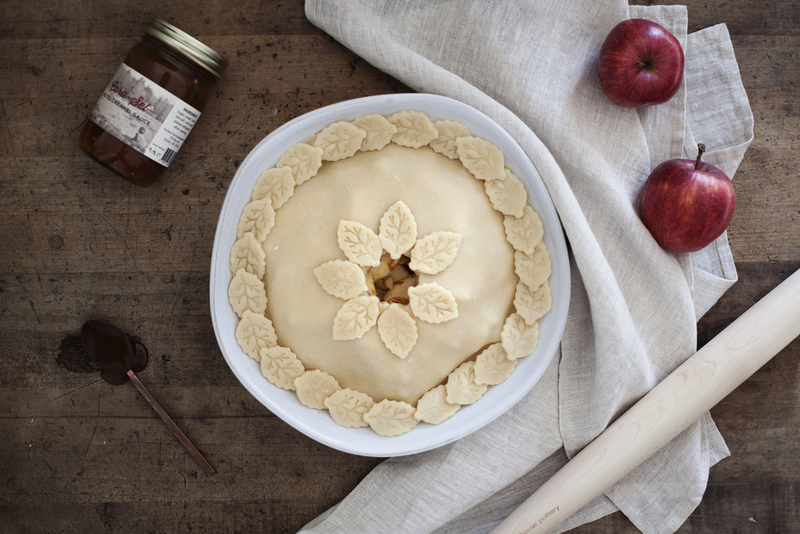 brush all over pie top & bake pie for 35-40 minutes. let cool completely before serving. serve with vanilla ice cream & additional salted caramel.